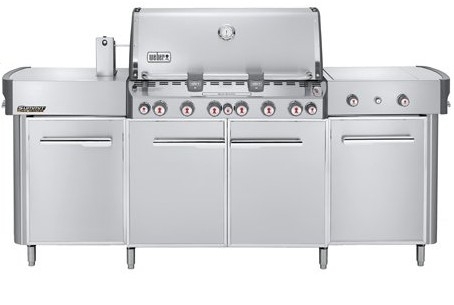 Summit Series gas BBQ grills are the crown jewels of the Weber family, with exclusive features, the highest level of performance and stunning looks. The Weber Summit Grill Center is packed with everything you need to enjoy the outdoor kitchen lifestyle and entertain guests. Heavy-duty 9 mm (3/8 inch) stainless steel rod cooking grates and stainless steel.